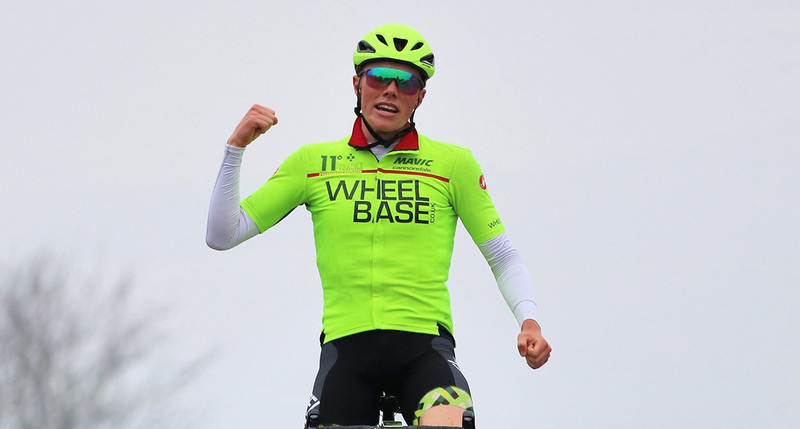 Wheelbase CabTech Castelli rider Finn Crockett took a huge win at the Suie Road Race in Aberdeenshire on Saturday, holding off a strong group of chasers after riding away solo with 10km to go. 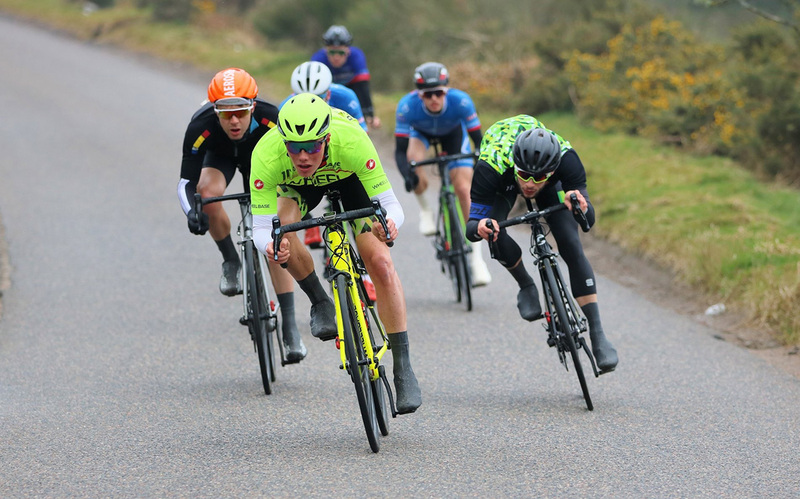 The testing course saw riders take on four laps of an 18 mile circuit which included the tough ascent of the Suie Road climb. After a series of early attacks, a strong breakaway formed with Finn, along with teammate Fraser Martin, building and maintaining a gap to the main bunch as the group rode and worked well together. Finn sent through his race report on what was an early season confidence booster. “Saturday 6th saw the first round of the Scottish National Alba Series in Aberdeen. The Suie Road race consisted of four 18mile laps which went over two significant climbs. The second being the Suie road climb which averaged 8.2% for 2km. The race attacks started from the gun. Fraser Martin (Teammate) and I managed to get into the day long breakaway. The group worked well and the gap to the main group opened up. Every lap, the group whittled down due to the difficulty of the circuit. By the final lap, there was only four left including Fraser and myself. With the advantage of having a teammate in the group, we both knew we had to try attack and split the group. I attacked 10km to go and I managed to hold off the chasers. The final ascent of the Suie road climb was brutal, however I had paced my effort sensibly beforehand, leaving something for the final climb.